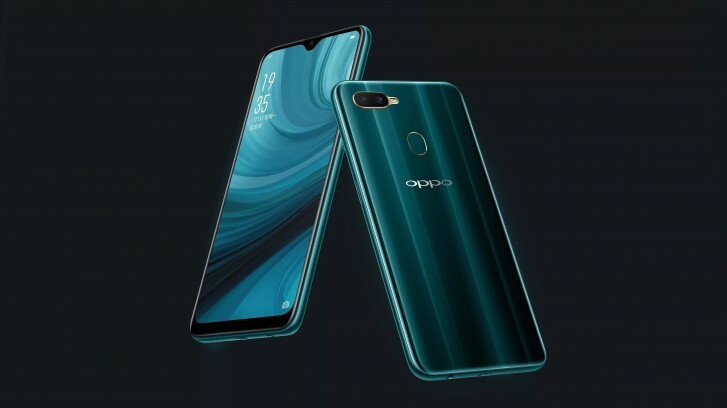 Oppo unveiled the A5s last month and today the company has relaunched a slightly modified version of the smartphone called oppo A7n in China. The innards of the A7n are the same as the A5s, the sole differences being an extra gig of RAM and improved selfie camera. The Oppo A7n comes with 4GB RAM and a 16MP selfie snapper, whereas the A5s sports 3GB RAM and an 8MP front camera. Other specifications of the A7n include Helio P35 SoC, 6.2-inch HD+ display, and 64GB onboard storage. It has a dual camera setup (13MP f/2.2 + 2MP f/2.4) at the back, runs Android Oreo-based ColorOS 5.2.1, and comes in Lake Light Green color. The A7n also features a rear-mounted fingerprint scanner and ships with a 4,230 mAh battery that fuels the entire package. Pricing and availability details of this smartphone are currently unknown.